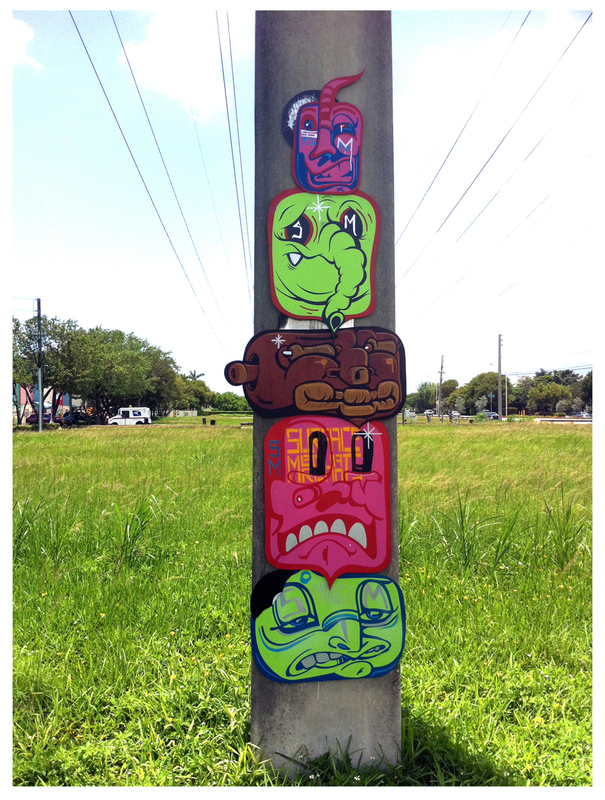 Raymond Gems Adrian, and Daniel Krave Fila began collaborating in the 1990's. 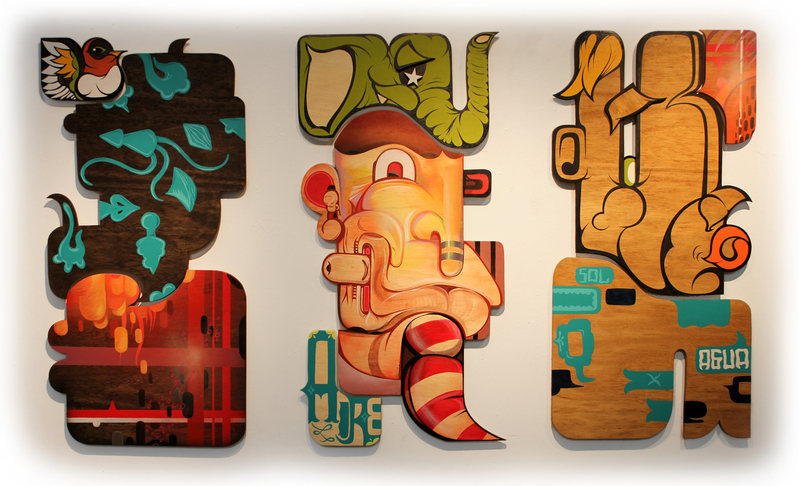 In 2007, Fila was introduced to Yanes, who was making custom wood cut art. 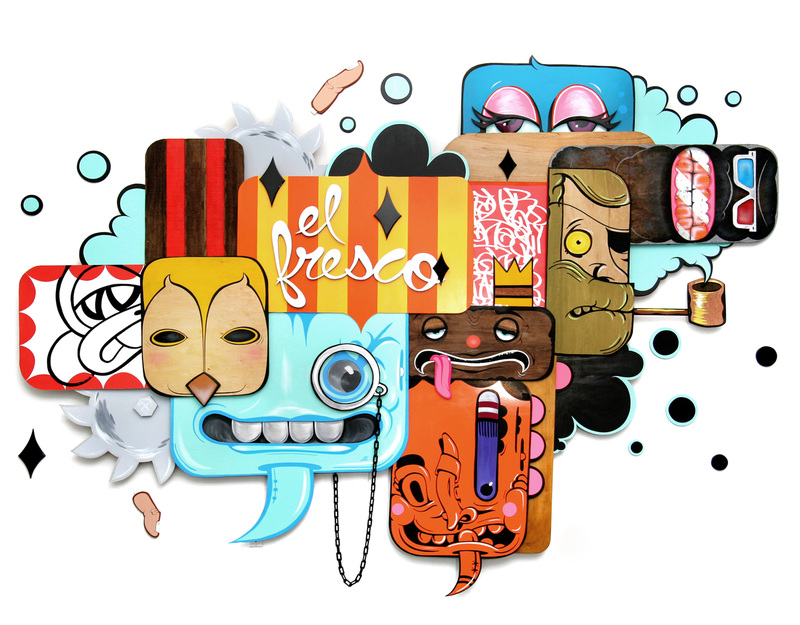 Fila primarily was working on 2-D surfaces, and at the time Yanes was creating more tattooesc imagery. 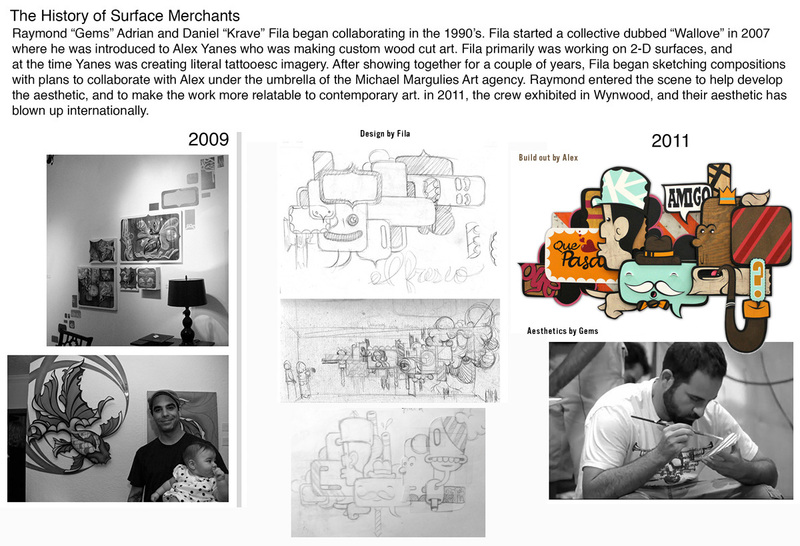 After working on and off for a couple of years, Fila began sketching compositions and design plans for collaborative pieces with Alex under the name Surface Merchants crew. 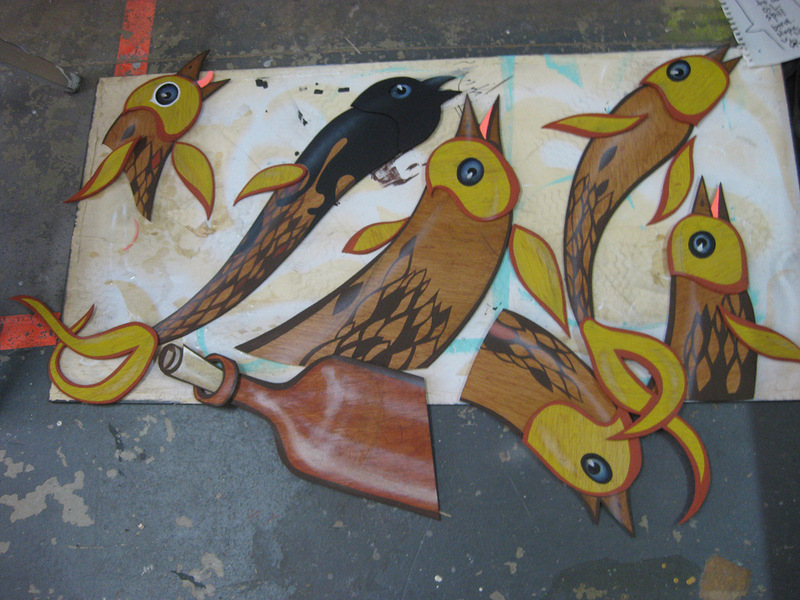 Raymond entered the scene to help develop a more contemporary art appeal. 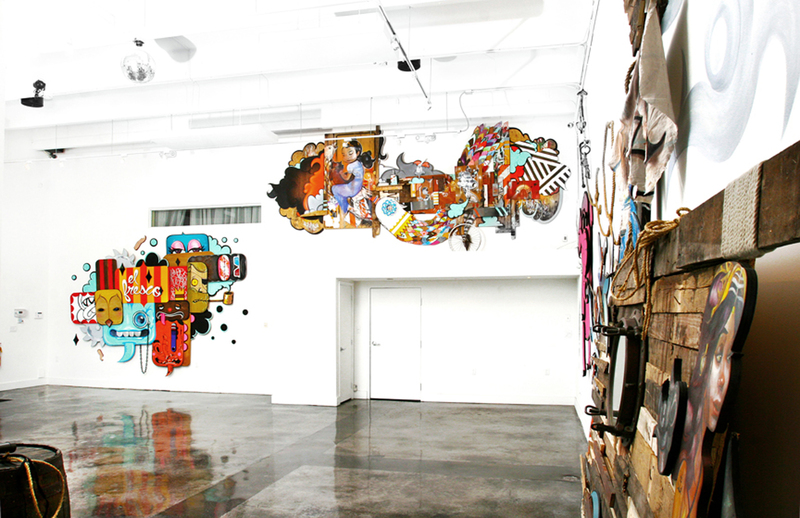 In 2011, the crew exhibited in Wynwood represented by Michael Margulies (son of legendary collector) at Cafeina's annex space. 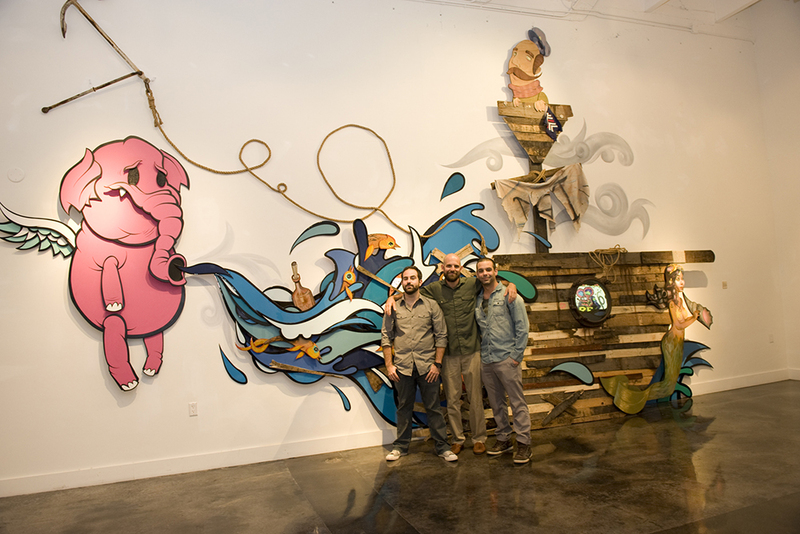 The Surface Merchants are a Miami based Artist collective originally consisting of Daniel Fila, Alex Yanes, and Raymond Gems Adrian. Now consisting of only Fila, and Adrian. 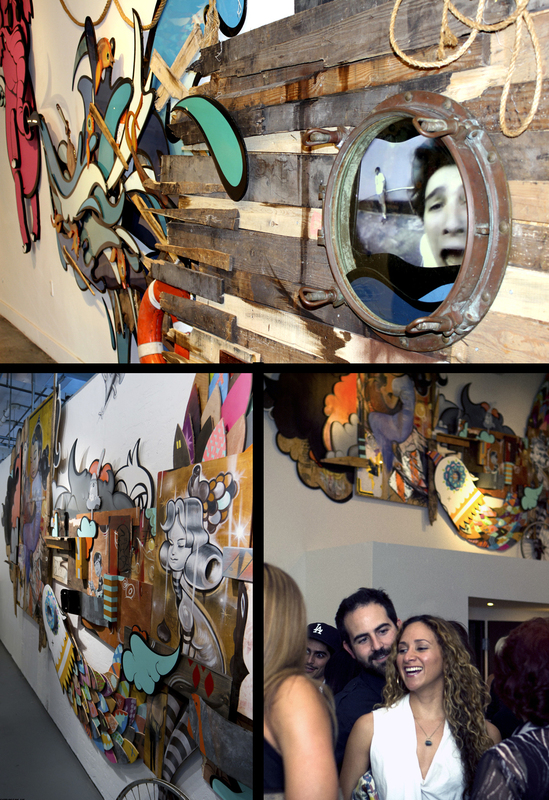 The two Miami born Artists unified to discern a new movement brewing yet undefined. They formed a collected known as, The Surface Merchants. 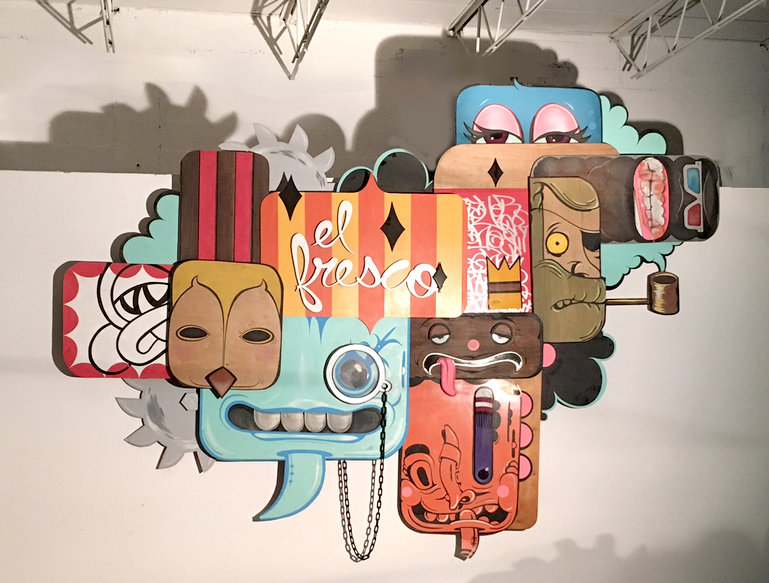 Drawn from similar influences, they create with an individually unique, yet jointly cohesive style. 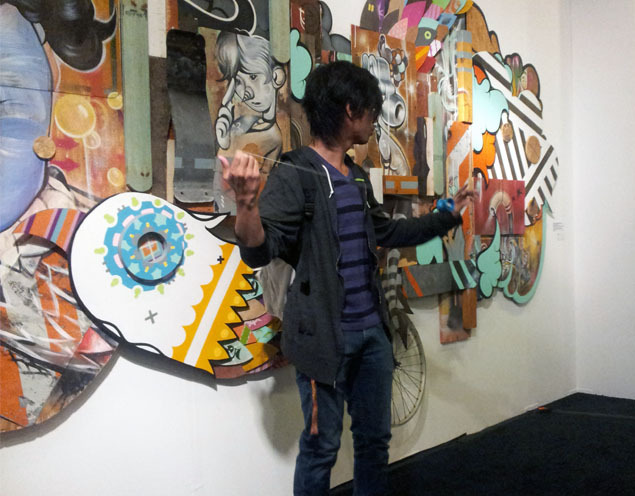 Combining their conceptual, sculptural, and painterly strengths, they avail amidst the torrential business of Art. 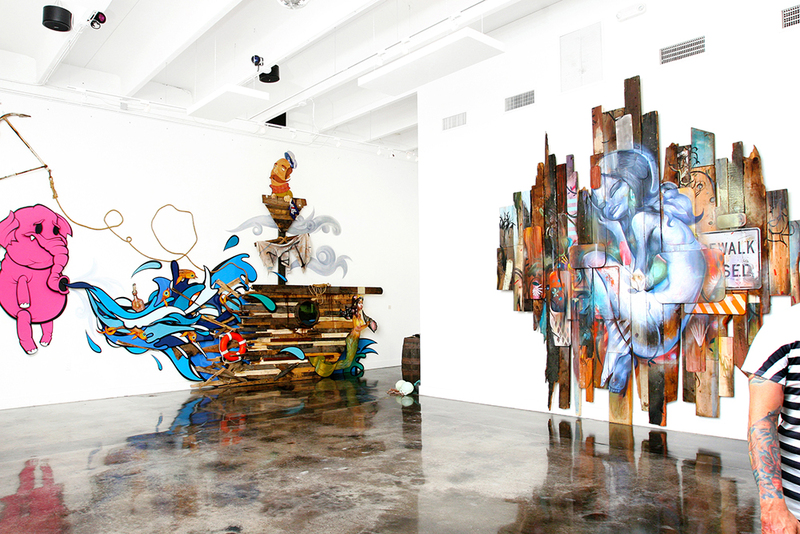 Post Graffism The Surface Merchants take on the first exhibition of its kind. As they lost themselves in the antiquated motions of the established Art world, they found a new and empowering channel of expression. Under the banner Post-Graffism, they were freed form the stigmatic positioning the business they were in demanded of them. A show filled with cautionary tales of man v.s. 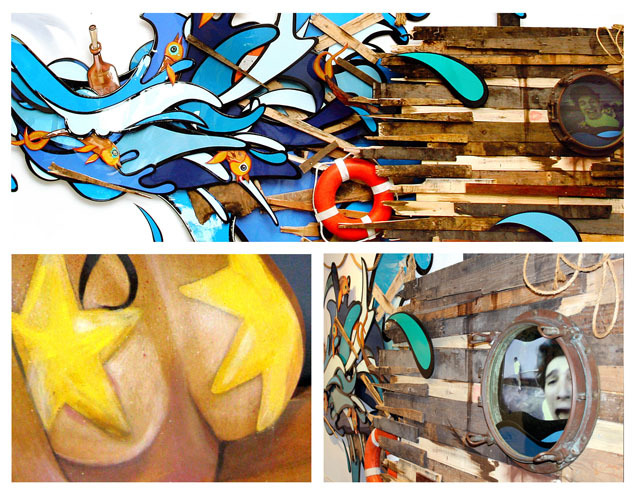 Mother nature, accompanied by a fusion of unique perspectives on paralleled subjects born of influences from their generation. 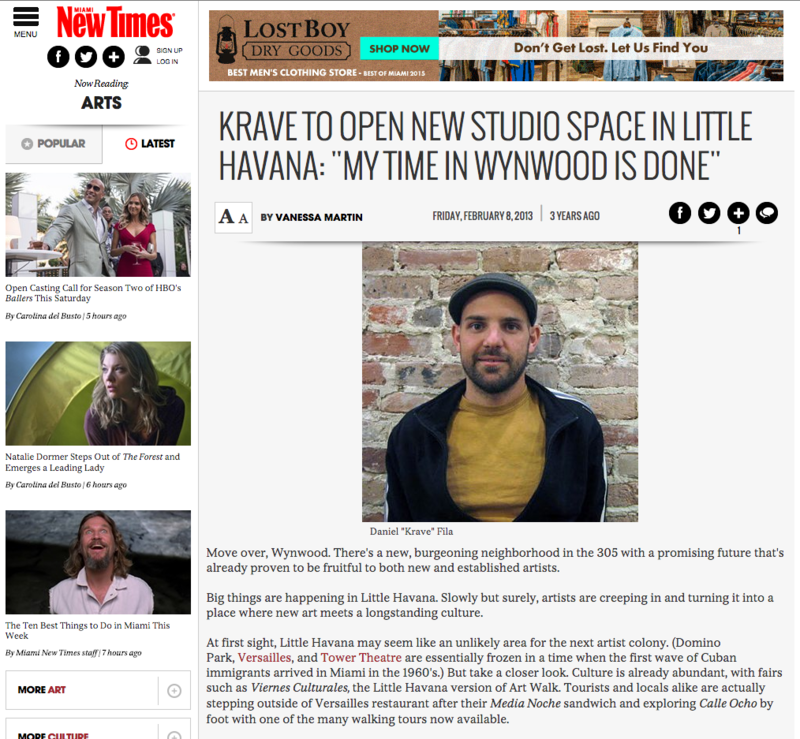 Big things are happening in Little Havana. 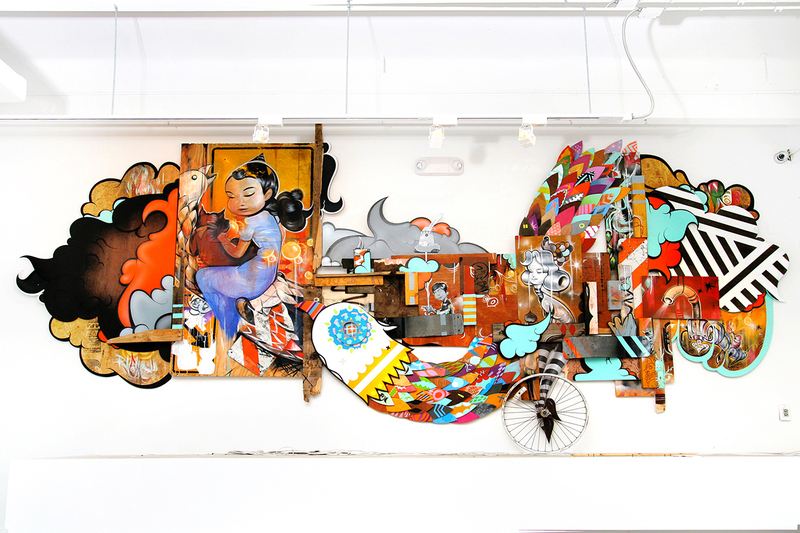 Slowly but surely, artists are creeping in and turning it into a place where new art meets a longstanding culture.